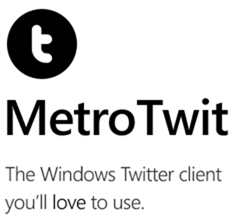 MetroTwit 1.0 Released For Windows, Bridges Twitter And The Metro-UI World Together – Download Now! 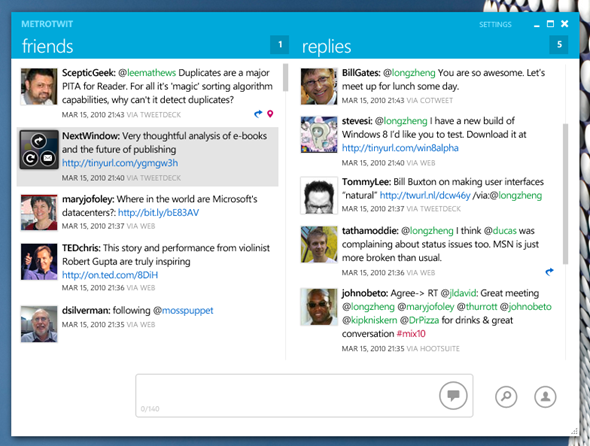 There’s a new Twitter app on the block, and it may be bringing a little spit and polish to the Windows app scene. Twitter may have its own apps across a range of platforms, from Windows Phone 7 to Google Android, but it is on the desktop operating systems that Twitter has struggled to put together a top class application. That has left the third-party developers with the job of giving us, the users of Twitter, an app that we will keep coming back to and more importantly, help to grow Twitter in its ongoing battle with the behemoth that is Facebook. MetroTwit is one such third-party app, this time for Windows, that has been much anticipated by those in the know and, with this 1.0 release, things look rather promising. Built by Long Zheng, David Golden and Winston Pang, MetroTwit does what the name suggests and tries to bring a spot of the Metro interface of Windows Phone 7 to the desktop Twitter world. The app started life around two years ago as a graphical concept that has changed and grown throughout the last 24 months, leaving the team with an app that may just offer Windows users an app they can fall in love with. The usual suspects have been trying MetroTwit out, The Verge team, Microsoft’s Joe Belfiore and many more, with the general consensus being that MetroTwit is an app that could prove to be a hit amongst Twitter users of the Windows-powered persuasion. We have heard nothing but good things about MetroTwit form the people we have heard from, and with good reason. The list of features is a long one, with the usual suspects like support for multiple accounts and filtering all present and correct. If you’re a Twitter power user, then MetroTwit could be worth checking out if you are tired of the apps you have been using for the last couple of years. TweetDeck, we’re looking squarely at you here. MetroTwit is available to download for free right now, with a Plus version also available should you wish to contribute to the team whilst also having the ads removed from the app at the same time.